While spring in New York City is great for birders because of the wide variety of colorful migrant birds moving through it is equally enjoyable because of the birds that return to their breeding territories and let everything within earshot know that they are back. 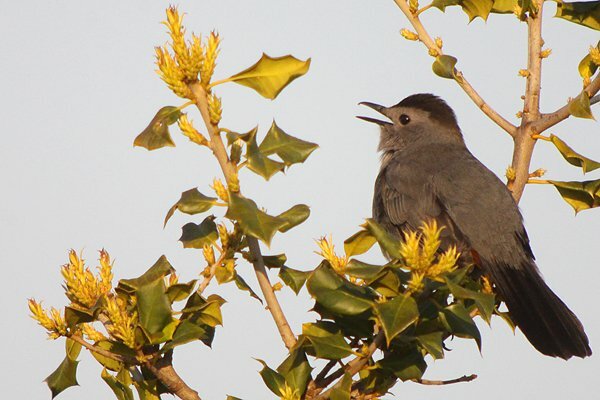 Bird song serves two basic purposes – to declare that the place from which the bird sings is that bird’s territory and to attract and keep a mate. I would add a third – for the sheer joy of it! Though birds sing because it is a biological imperative I find it hard to believe that they don’t get some basic enjoyment out of the experience as well. I know I do! There is no time that is better for hearing birds sing than early in the morning, much to the chagrin of those who like to sleep in with the windows open. The dawn chorus is a delight to the ear, a celebration of having survived the night to welcome the sun. Every place has a different dawn chorus and the gradual crescendo as the sky lightens and more species join their voices to the earliest singers is an experience that every single person should experience at least once. Here in Queens I have been paying careful attention to what birds are getting back and where they are setting up shop so that I can try to keep track of them as they attract a mate, build a nest, and fledge young. Or, at the very least, I pay attention so that I can find them again in a week or two. For example, the Brown Thrasher at right is one of several singing from the bushes and trees around the West Pond at Jamica Bay Wildlife Refuge. They are there every year and knowing where, exactly, they have their territory will make getting better pictures than the one I have here easier. I thought I would share a few of the birds I have managed to capture in the act of singing over the last week. All of the birds are breed in Queens and I look forward to seeing them until they leave again in the fall. Enjoy! 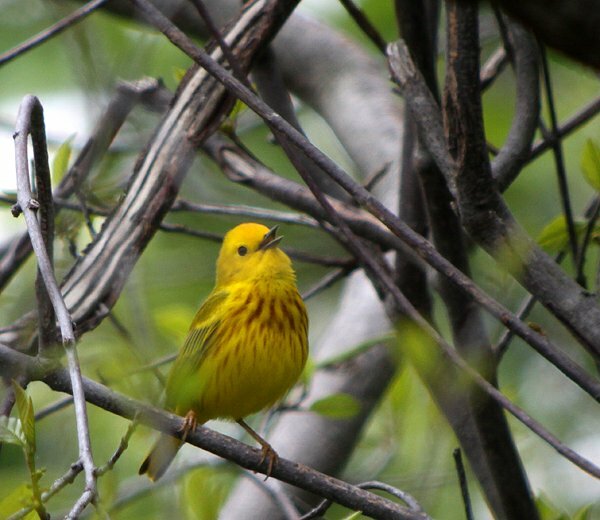 That Yellow Warbler is the sweetest. Great, great shot! One of THE best things about birds (there are an infinite number) is the dawn chorus. Sadly, where I live (rural area of Northern Virginia) it is more like a dawn duet made up of the Cardinal and the Carolina Wren, with a few other species occasionally joining in. It is a sad ghost of what the dawn chorus used to be like, and I certainly remember it in full throat 25 years ago. Very little has changed since then in the rural area where I live, I’m still surrounded by woods, cow pastures, scrubby fields, and a creek. I love your description of the dawn chorus, but I feel sort of jealous, and befuddled, why you have more of a performance in NYC than I do here in bucolic Virginia. 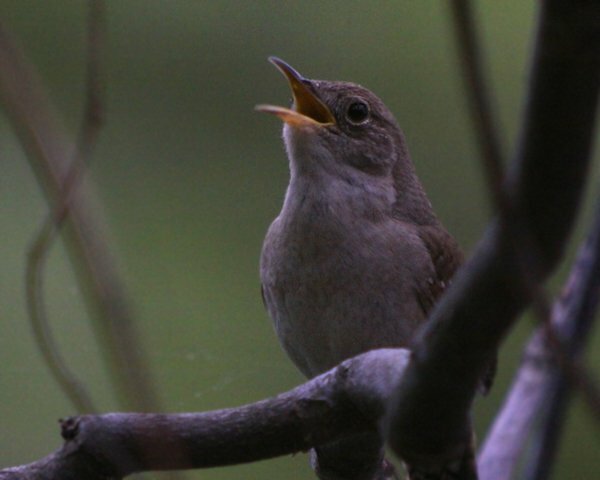 Have others experienced a silencing of the dawn chorus?